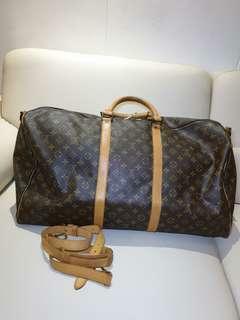 New account to list luxury bags. Old account with 490 feedback. 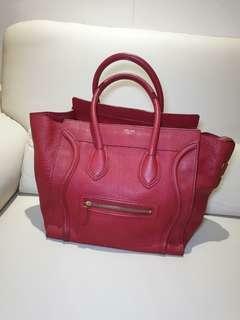 Preloved celine luggage bag in red. Just bag itself. Has some black marks which can be fixed with bag spa or use as it is. Self collect from lakeside mrt or postal 610369 This is an account to list my luxury things. Original has 490 feedbacks. Preloved vintage keepall bandouliere 60. Comes with strap. Great for travelling as a cabin bag. Bag is in vintage condition. Leather dry. 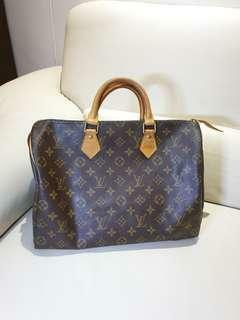 Self collect from lakeside mrt or postal 610369 This is an account to list my luxury things. Original has 490 feedbacks.